Attention Forth Worth friends and clients! 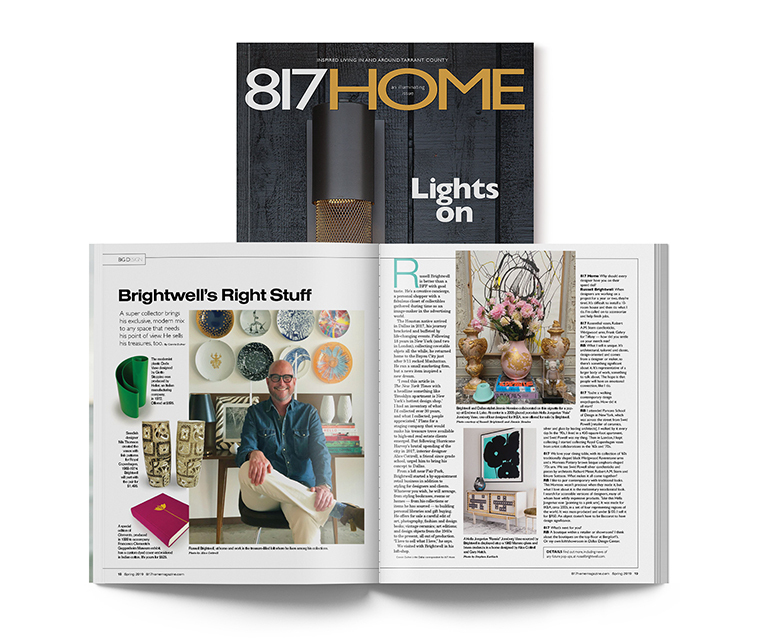 Read Connie Dufner's wonderful article in 817 Home. Who knew there was anything more to say about me?! 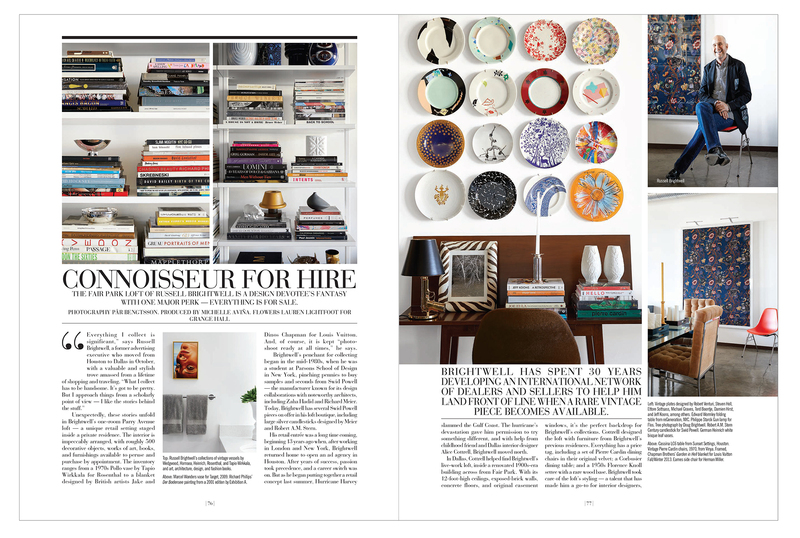 But there is and I'm so pleased that she mentioned my styling services for both decorators and clients directly. Whether a wall of bookcases or a coffee table, I'll make sure you have the stuff that's just right for you. After 30 years as an advertising creative executive in New York, London and Houston, I've launched a new endeavor, a new buying experience. Clients, with an appointment, may visit my Fair Park loft | showroom to peruse [and perhaps learn about] a myriad of vintage design objects, ceramics, collectibles, art and editions, and a library of fashion, art, and photography books. 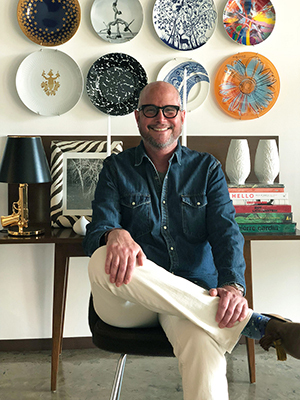 From architect designed tableware to near impossible to find fashion and design collaborations, my “stock” is a reflection of my lifetime of collecting and ever evolving taste and interests. And most is likely be unavailable anywhere else in Texas, and maybe the nation. STYLING for interior designers and for clients directly bookcases, tables, rooms or entire homes with both clients' books and objects or those I’ve sourced for them. BUILDING LIBRARIES Compiling and styling libraries with thoughtfully chosen vintage and new [art] books and objects that reflect the clients’ interests. GIFT BUYING & WEDDING REGISTRIES Helping clients choose and build their registries. Gift buying services for all occasions. Watch this space for updates and happenings. And feel free to to contact me by email or phone. And of course, I’d love you to visit me in my loft/showroom for a poke around, a coffee, and some interesting conversation. I'm also happy to send options via email and/or gather up objects and bring them to your office or a job. I am so thrilled and grateful for the wonderful article about that appeared in the March issue of Paper City Magazine Dallas. Many thanks to Home Design Editor Rebecca Sherman for shepherding the piece through the editorial process, her research and her lovely writing. And with Michelle Aviña's deft creative direction and Pär Bengtsson's gorgeous photography, there was no way it couldn't be smashing.